Qatar has almost finished the first stadium that will be used for the 2022 FIFA World Cup. 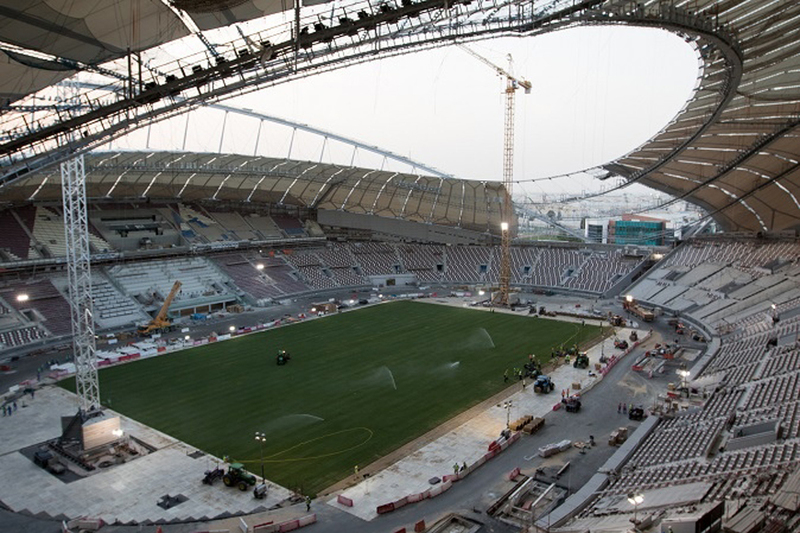 The Khalifa International Stadium in Al Waab is expected to be ready next month, five years before the tournament. 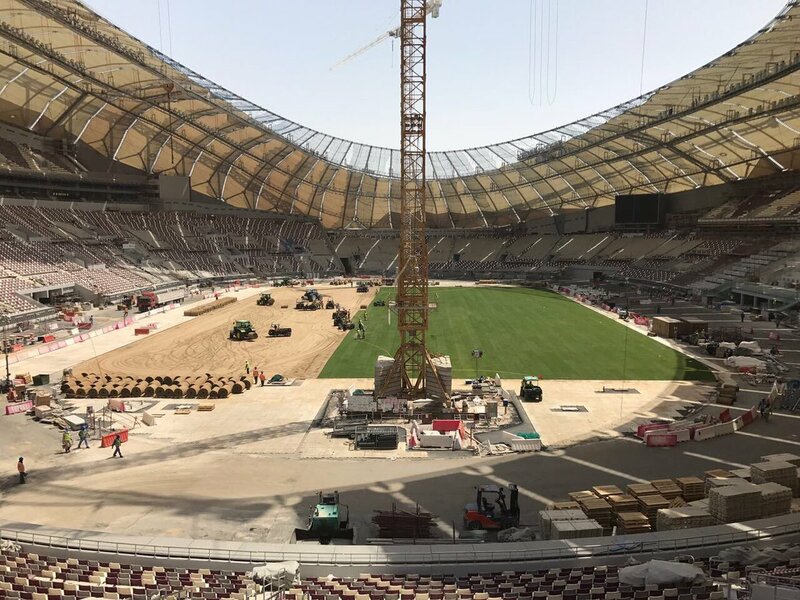 It has also reached a milestone as 7,800 square metres of turf was laid in only 13 and a half hours, which is a world record according to the Aspire Zone Foundation (AZF). The Khalifa International stadium is actually one the country’s oldest stadiums. Following the announcements of the World Cup taking place in the country, major renovations started taking place to make it ready for the tournament. The stadium has 40,000 seats and it will be home to some of the games up to the quarter-finals. Originally, the renovations were supposed to be complete by the end of 2016, making it a few months behind schedule. There are at least seven other stadiums in the works. The Supreme Committee for Delivery and Legacy (SCDL) stated that the grass was transferred from its “turf nursery” in Al Rayyan. It’s basically a farm where different types of grass are being tested and grown. After the testing, they pick the most resilient and highest performing turf to use for the stadiums. There’s another tree and turf nursery in northern Qatar that’s growing greenery to be planted around the stadiums.